Nobody is good at predicting fantasy football. Not me, not you, and not even the "experts" we read on major websites, watch on TV and listen to on podcasts. Week to week, if you look back at "rankings" and "projections" after the fact, they rarely resemble anything close to what actually happened (quick sidebar--isn't it funny how seriously we take them given how much of a crap shoot they really are?). Inevitably guys who should be great do nothing, while people you've never heard of put up huge games. 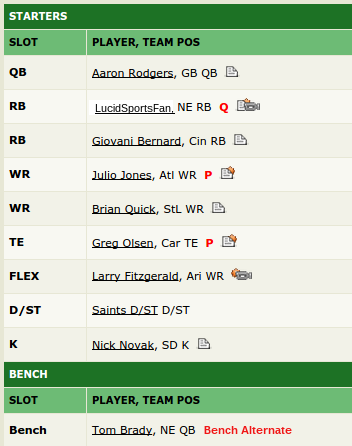 For this reason I like to have a bench made up of bad players whenever possible. The fewer tough lineup decisions you have to make, the less likely you are to be annoyed because your backup running back scored two touchdowns. Each week you can set one "bench alternate." Like when you have a feeling Darren Sproles is going to have a good game, but you still can't justify starting him at running back over Stevan Ridley; now you wouldn't have to. You just set Sproles as your "bench alternate," and if he outperforms one of your other RBs you get to substitute in his points instead. Maybe Tom Brady is your backup quarterback and Aaron Rodgers is your starter (which is the case for me). You have to go with Rodgers, but if Brady throws 6 TDs vs the Raiders this week it'll be annoying to miss out. But the best reason to do this is for when your star is hurt and you're not sure how effective he'll be. When he barely scores any points you have a "bench alternate" to fall back on. It's similar to my idea from a few years ago about setting backups in case somebody unexpectedly doesn't play. 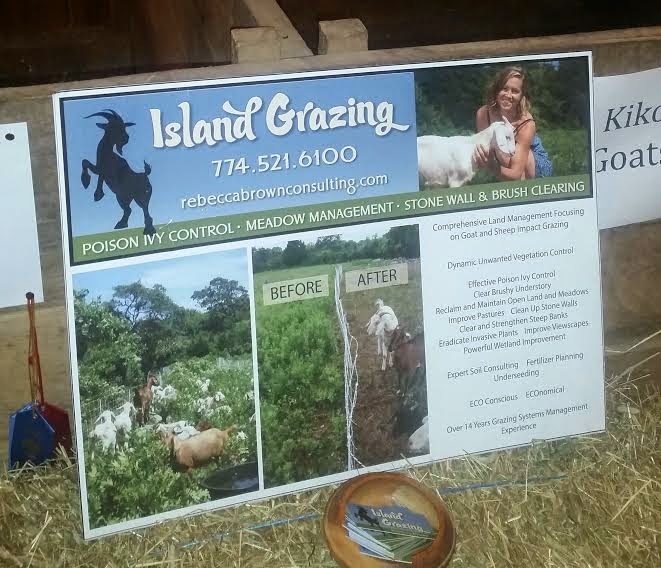 Did you know you can rent a goat to eat your poison ivy? That "before and after" picture is pretty impressive. This fits into the category of "unusual signs you might see at the Martha's Vineyard fair." Apparently the city of Boston put some goats to work clearing a park this summer. 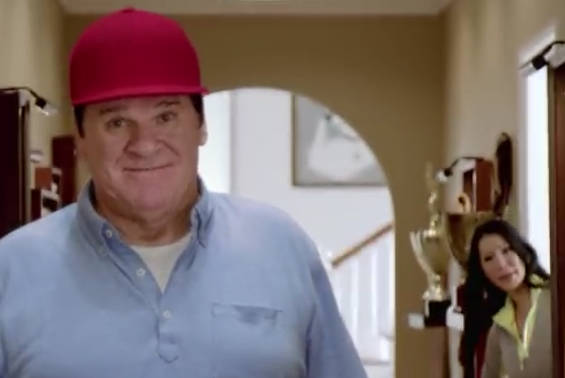 Two things: One, is that Pete Rose's real life wife? And two, when I caught this on TV last night, at the end of the ad instead of "I can't catch a break" Rose said "Even at home?" I like that version much better. All of them are suspension related (the drug testing one allows for Wes Welker and some others to return early from their suspensions). Yuck. 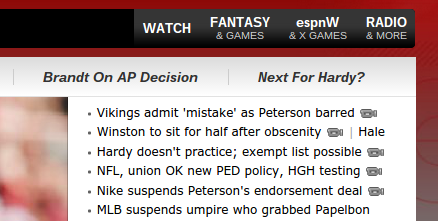 And, amazingly the Ray Rice situation isn't even on the list. Is this the ugliest sports time in recent memory? Honestly I'm not so sure, I think it's very possible the power of the magical internet has just allowed us to become much more aware of and involved in all the bad stuff that famous athletes do. Some more food for though--most of this garbage is football related. Is that because it's A) what's happening now, B) the sport we're most interested in, or C) the game that produces the greatest amount bad behavior? My guess is a combination of all three. So, what should be next? I'd love to see "Opera Man," although my guess is Adam Sandler is too big a star to get. Similarly I don't envision State Farm shelling out for the copyrights on Wayne's World, although Mike Myers is definitely a possibility. 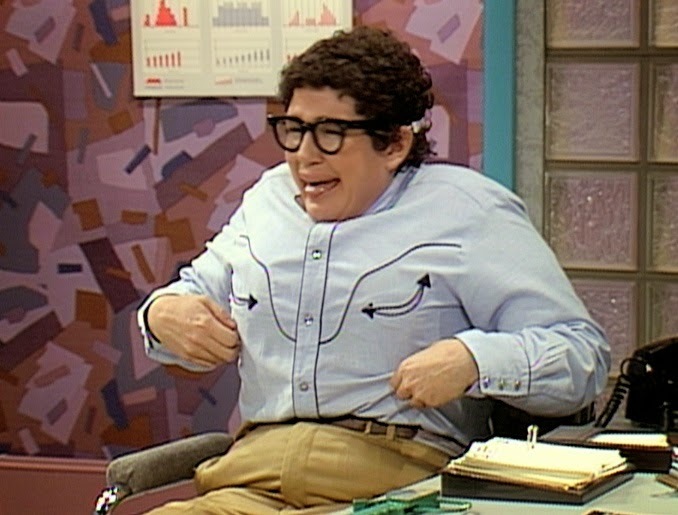 How about Linda Richman from "Coffee Talk," or Dieter from "Sprockets"? I see one surefire winner though, a no-brainer: Pat. 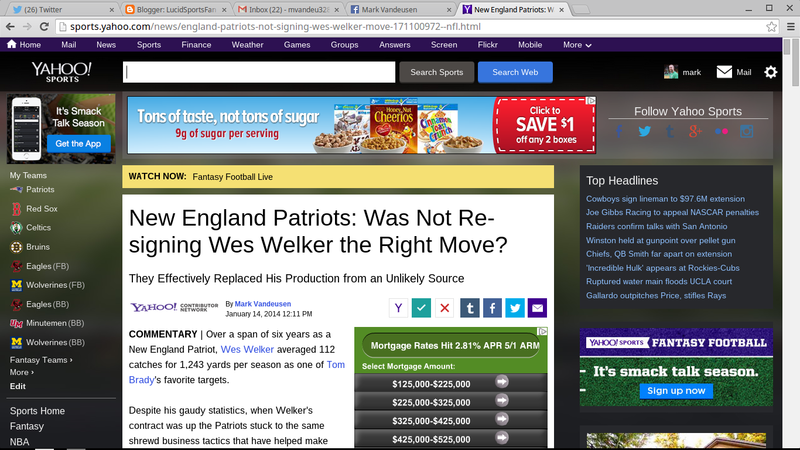 Last January I wrote a post asking if the Patriots made the right choice by not re-signing Wes Welker the previous offseason (I also published an article about it pictured below on Yahoo! that 150,000 people read, but they discontinued their contributor program and the page no longer exists). Eighteen months ago the average New England fan was not too pleased about the team's decision to let Welker leave as a free agent and sign Danny Amendola instead. But what nobody saw coming was the emergence of Julian Edleman, who has without a doubt been a better player than Welker ever since. Welker suited up in 13 regular season games for the Broncos last year, making 73 catches for 778 yards. meanwhile, Edelman played in all 16 contests for New England, with 105 catches for 1056 yards (read the link at the top for more numbers). 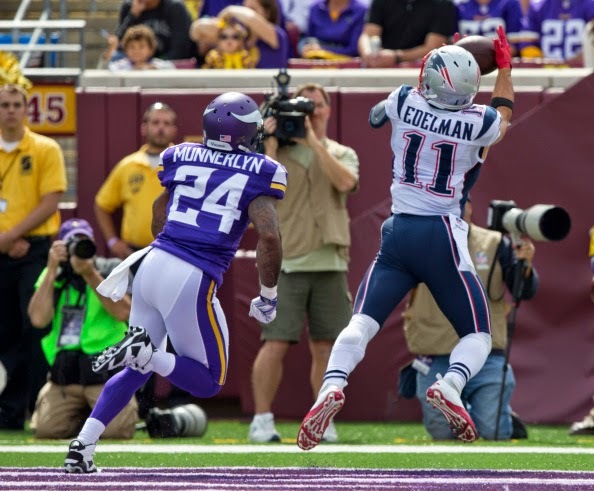 While Welker has yet to take the field this season due to another concussion an amphetamine suspension, Edleman is still cruising right along and leading the Pats with 12 catches and 176 receiving yards through two games. "Minitron" is also second in the NFL with 81 punt return yards on 6 attempts. 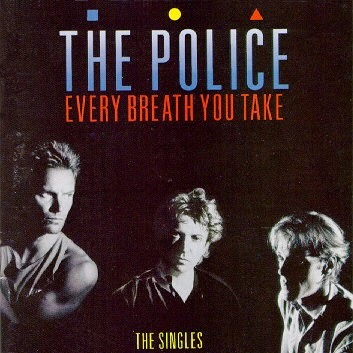 Once I'd decided to go with a track from The Police album Every Breath You Take: The Singles, picking just one song was basically impossible (check out its Wikipedia page--so many great choices). In the end "Message in a Bottle" got the nod, but if I did this again tomorrow "Don't Stand So Close to Me" and "Every Little Thing She Does is Magic" could just as easily end up on top. I'd never seen this video before; 1979 Sting is pretty incredible.